Besides Lexmark C500N that was introduced previously, SOHO users can also look into the LBP 3460 monochrome laser printer produced by Canon. Spotting an elegant look, the LBP 3460 is quite useful for SOHO users in terms of operational functions as well as for economical reasons. LBP 3460 has a faster startup time compared to other printers in its category. You don’t have to spend time waiting for the machine to warm up. Canon made possible the instantaneous heating of the fusing heater before printing via advanced technology. The printer also switches to stand-by-mode within seconds of job completion. Hence, the power consumption of this printer is relatively low. The LBP 3460 is connectable via USB or integrated 10Base T/100Base TX Ethernet. It is network ready and it’s an auto-duplexing printer. LBP 3460 is ideal for small businesses or professional home offices. The printer speed is 33 pages per minute (in A4 size paper) and the quality printout comes out super sharp. It also produces exceptional edge definition for font and graphics (equivalent to 2,400 by 600 dots per inch/dpi). The 16.1kg printer comes with 64MB memory which is expandable to 320MB using optional random access memory modules. This printer is powered by a R4000, 333-megahertz processor which is quite capable of handling SOHO jobs. 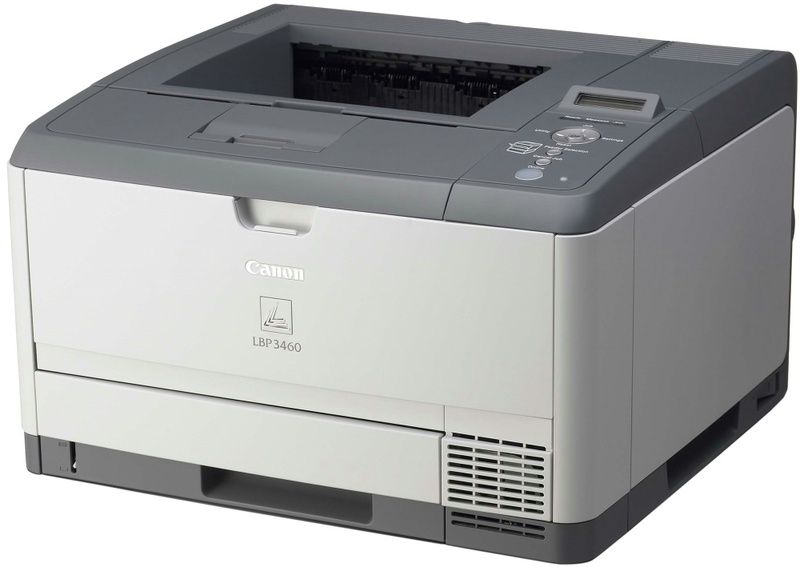 Other key factors to consider in getting this laser printer include low maintenance, small and compact size, and a reasonable price that is approximately US$1,100. Printing Language: PCL 5e, PCL 6 and UFR 2.